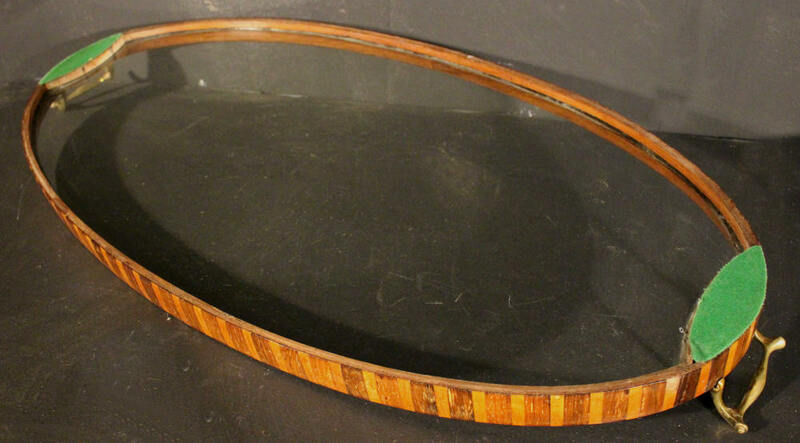 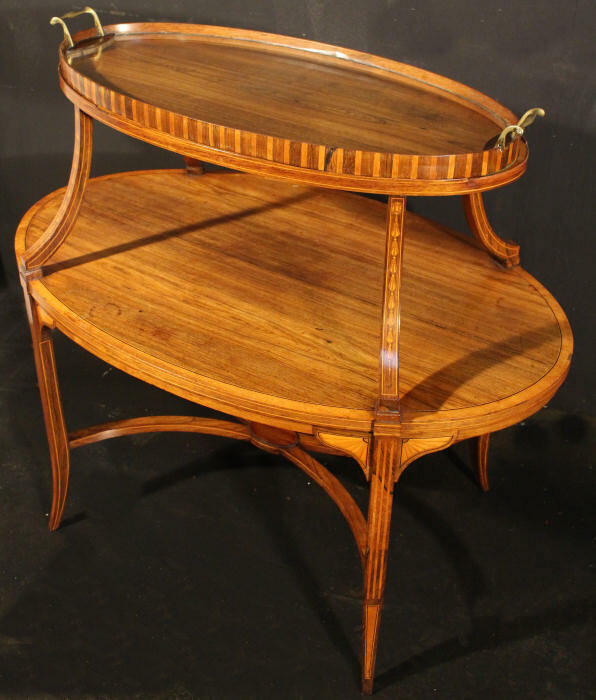 A gorgeous Oval Inlaid Edwardian Etagere in lovely faded rosewood. 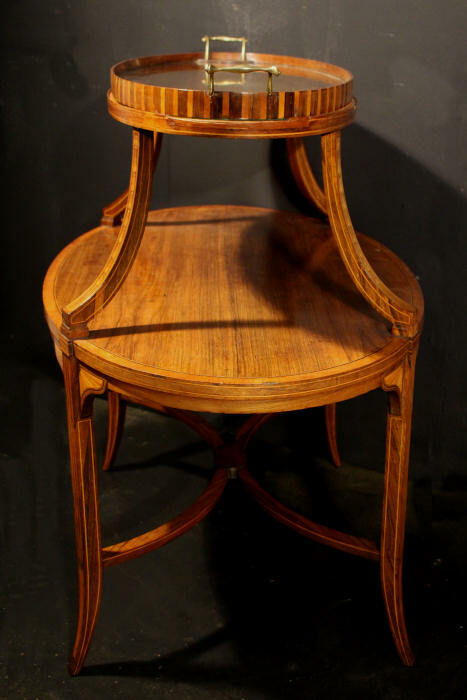 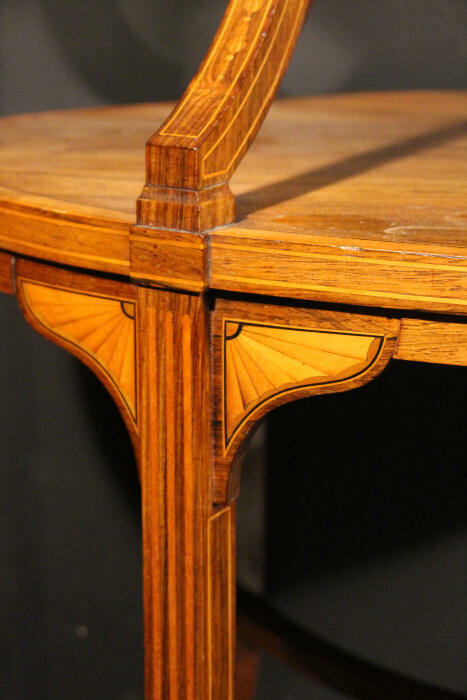 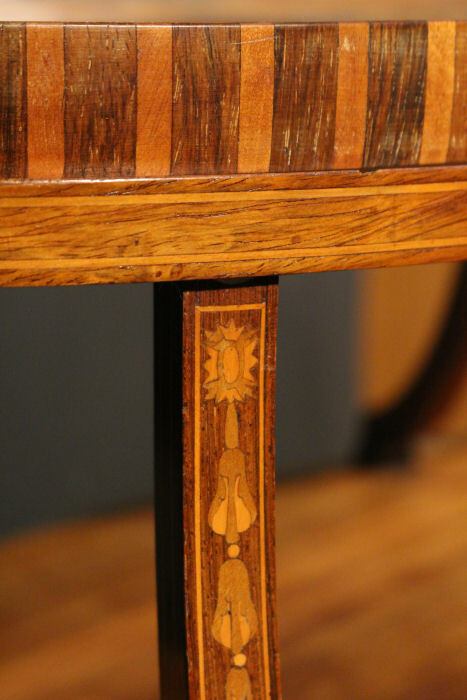 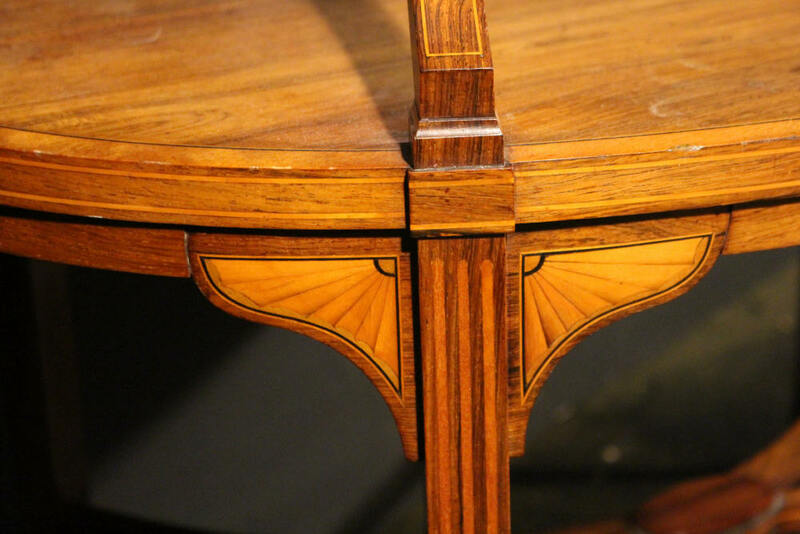 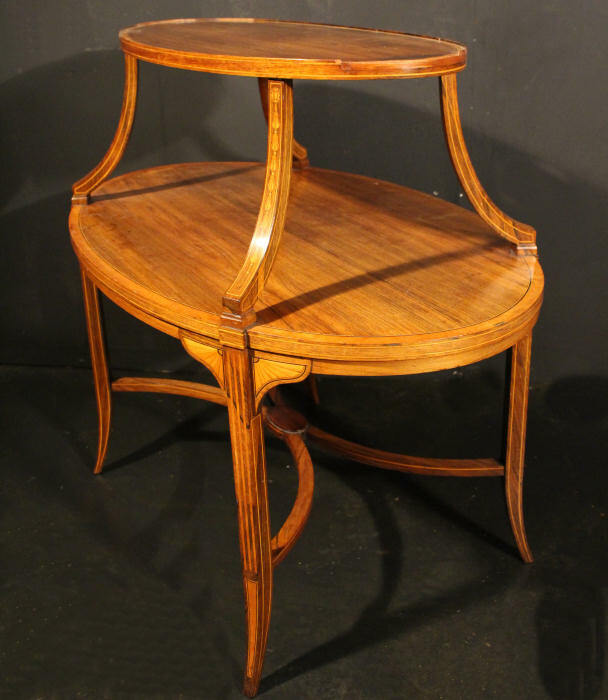 The oval shape influenced from the late 18th Century, this lovely piece has elegant outswept legs, fine but very sturdy, with inlaid satinwood harebells and line inlay. 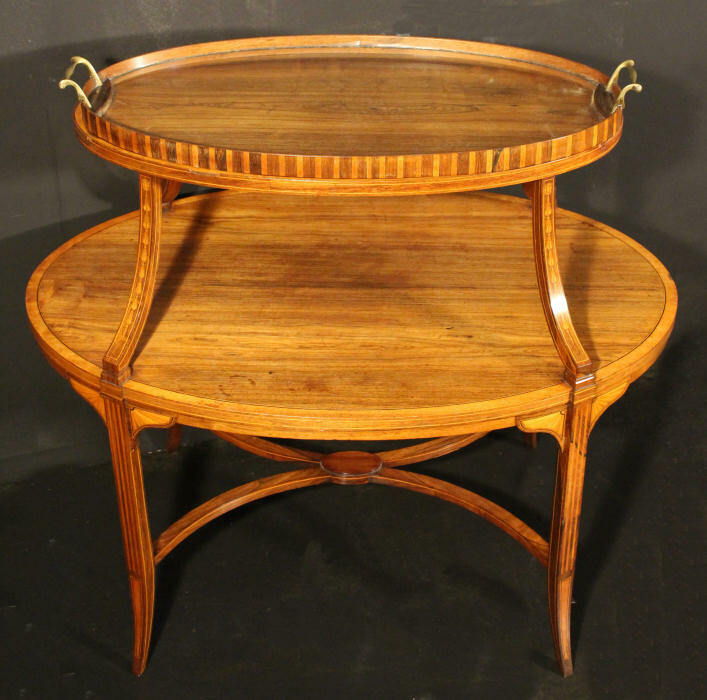 The two tiers provide excellent surface area and to the top is a beautiful oval plate glass tray with wonderful inlay detail and sturdy brass handles, the tray has felt to its base to protect the surface of the Etagere beneath. 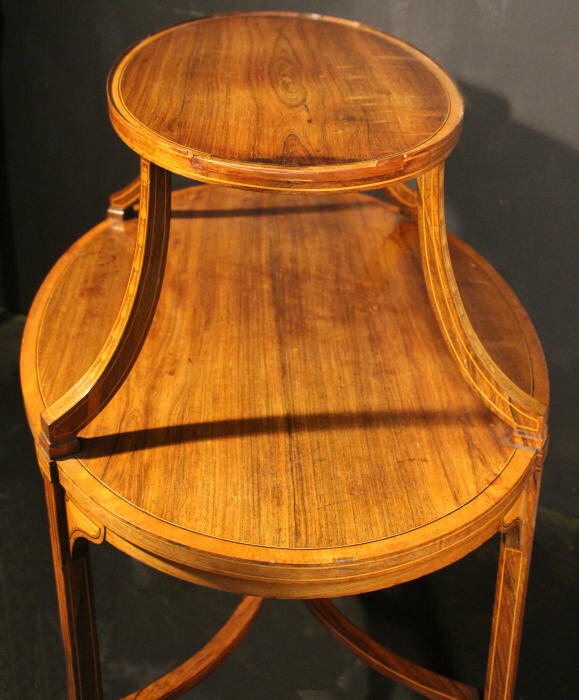 It has a few marks/scratches which are commensurate with its age and should be expected on a piece like this that has been used and loved.